It lets you blend wired and wireless devices with ease. 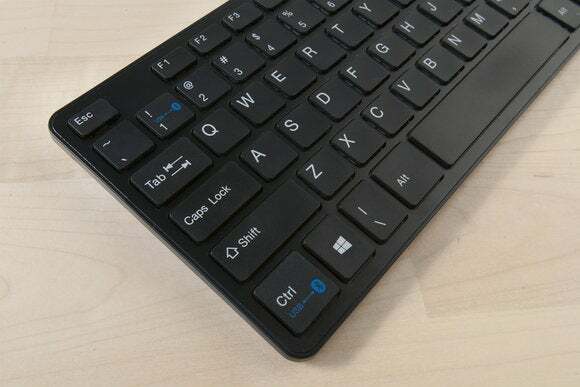 Kensington’s $60 KP400 Switchable Keyboard ($24.95 on Amazon) lets you blend wired and wireless with ease. You connect the KP400 to two “host” devices: The first is your primary machine (using the micro-USB cable), and the secondary is your Bluetooth-enabled phone or tablet, say. Then, using the USB-to-Bluetooth keys on the KP400, you can hop back and forth between the two. Even when I was typing furiously, the KP400’s chiclet-style keys hummed along with good travel and responsiveness. I prefer an angled keyboard, and this model’s legs created just about enough lift for my liking. Beyond the USB-to-Bluetooth keys and the power switch, however, the KP400 lacks additional bonus features (such as hotkeys). The lack of hotkeys makes the Kensington KP400 keyboard seem sparsely featured compared to other models. The KP400 really shines when it’s attached to my laptop (or desktop) with the USB cord—and connected to my mobile device using Bluetooth. To toggle between Windows and my iPhone, for example, I just tap the designated USB-to-Bluetooth keys on the KP400 each time—this worked perfectly, with no lag time. Whenever I wanted to use the KP400 with another Bluetooth device, I needed to go through a new pairing routine, but it was consistently easy. The KP400’s dual-device capability is starting to look a little old compared to newer models that can juggle more inputs. The lack of hotkeys is probably a bigger drawback for most users. For the price, however, it delivers a decent experience with a little extra convenience. 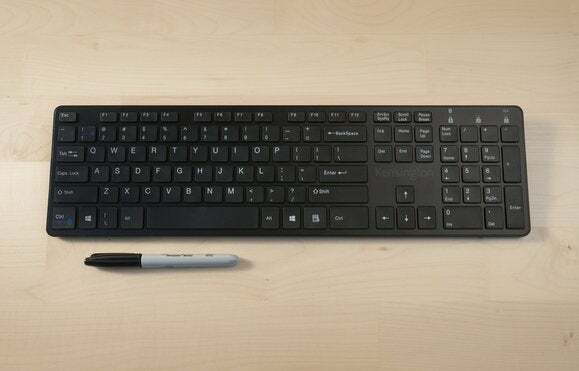 The KP400 Switchable Keyboard make sit easy to toggle between a PC and a mobile device. It's also a pleasure to type on. The only things missing are handy hotkeys.